England weren’t at their best against Australia, and they failed to dominate the way they should have during their narrow 2-1 win. It wasn’t their best XI, but if they want to be taken seriously as Euro contenders then they need to step up their performances. That said, these last two games were only friendlies, so were obviously chances for us and Roy Hodgson to get a better idea of who deserves a starting spot. There were question marks over Rashford’s place in the England squad, with the Manchester United man seemingly only included due to Danny Welbeck’s injury. His performance – and first goal – against Australia looks like it may well have earned him a place in Roy Hodgson’s squad though, potentially at the expense of Daniel Sturridge. The Liverpool striker recently suffered yet another injury that has threatened his place at the tournament (via the Mirror), and Rashford’s goal looks like being yet another nail in his coffin. Jack Wilshere is a key part of England’s midfield, and despite his injury problems he’s almost certain to be going to France this summer. That said though, he’s not a natural defensive midfielder, and against the bigger and better teams he can’t be expected to perform that role. He isn’t as defensively aware as he needs to be, nor does he have the strength required. The 24-year-old badly needs a dedicated defensive mid alongside him, and Eric Dier is the only option England have at the moment. The Tottenham man unfortunately may also be needed as a centre-back during the tournament, but if possible Hodgson needs to name Dier and Wilshere in midfield together. Rooney may have gotten the second goal, but he’s certainly nowhere near England’s first choice striker. He’s more likely to be fielded in midfield or in the No.10 role, but Hodgson seems to have no idea where he wants to field his captain. It’s unclear whether Rooney even has a place in the team, as there are arguably better options up front and in midfield. It looks like he may be crowbarred in regardless, but that could prove to be a mistake. Danny Rose and Kyle Walker appear to be Hodgon’s first choice full-backs, but Nathaniel Clyne and Ryan Bertrand’s performances showed that he’s got a real decision to make. Injuries or a loss of form shouldn’t be anything to worry about either, as all four look like they could walk into the starting XI and it wouldn’t take anything away from the team. It’s still unclear who will be dropped out of the 26-man provisional squad, but this game has certainly given us more of an idea. 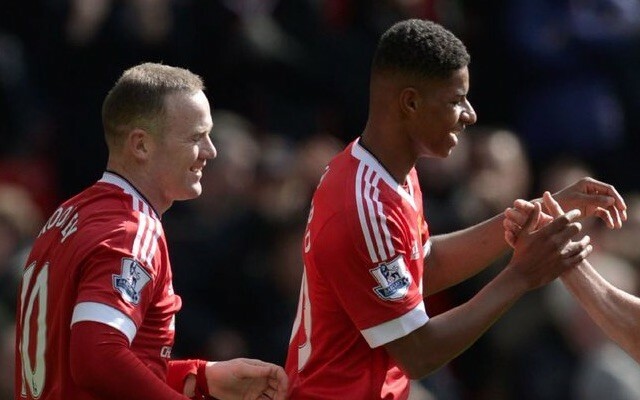 Rashford looked like a prime candidate to be dropped, but that appears to have changed. Danny Drinkwater’s very average display could have put him in trouble, while Fabian Delph’s absence says a lot. Ross Barkley has also been pretty below par, and Sturridge’s injury has made him a real doubt. It seems like three of Delph, Drinkwater, Barkley, and Sturridge might miss out, although fitness and form in training could obviously still play a part.